Metal braces are not the only options nowadays for straightening crooked teeth. 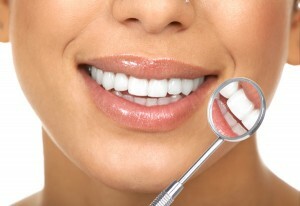 Invisible braces effectively straighten teeth, with the following advantages. Invisible braces allow you to straighten your teeth without the conspicuous metal parts. You can have the teeth straightening treatment without anyone else knowing about it. Using invisible braces offers better aesthetics compared to traditional braces. You can still have a normal-looking smile while undergoing an orthodontic treatment with the barely-seen braces. You will not have to deal with the discomfort of having metal parts inside your mouth with invisible braces. than a year – a fraction of the time needed to complete a traditional orthodontic treatment using metal braces. You can take out the clear aligners whenever you need to do so. Keeping your teeth and mouth clean is easier with invisible braces, since they can quickly be taken off when you have to brush your teeth or when you floss. Even before the treatment starts, you will be presented with a computerised model of what your teeth will look like after using invisible braces. Unwanted surprises are avoided since you are made aware of what the result will look like.